Motorola has been very hush-hush about its latest series of mobile phones, allowing conjecture to fuel the rumour mill. Until now, that is, as the company has unveiled its MOTOZINE series. And the pick of the bunch is the ZN5 candybar. Quite why mobile phone manufacturers insist on wanting their phones to resemble pieces of confectionary is beyond us, but ZN5 does house some nice features that will please those with the sweetest tooth. The main new feature on show is an impressive 5-megapixel camera that's been made in association with Kodak. As it has been created in collaboration with a real imaging specialist, the camera actually works like a camera, with autofocus capabilities and a Xenon flash. 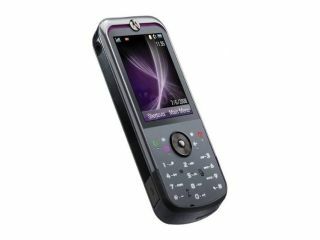 Also included is Moto's ModeShift technology, which has been available on handsets for a while, and gives users the controls they need, depending on what mode the phone is in. Internet connectivity comes in the form of either Quad-band GSM or EDGE. Although no pricing or release dates have been revealed, the phone will hit China first, then Asia and finally good ol' Europe.